A total of 245 points were put on the board inside the Somersfield Academy Gymnasium as the Bermuda Basketball League sponsored by ONE Communications continued with a double header. 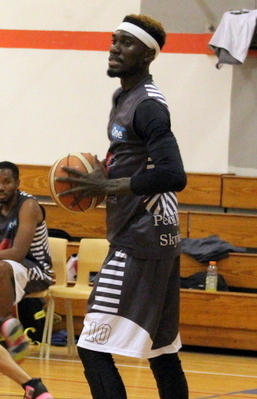 In Game 1 the Pembroke Skyforce defeated the Warwick Rim Rockers 78 – 51, Gershon Kurt led the Pembroke Skyforce to victory with a double-double scoring a game high 24 Points, grabbing 28 Rebounds, he also had 1 Assist, 2 Steals and 2 Blocked Shots, Jericho Tucker also had a double-double scoring 23 Points for the Pembroke Skyforce and he would grab 23 Rebounds, 2 Assists, 3 Steals and 1 Blocked Shot. Ronald Bushner led the Warwick Rim Rockers with 18 Points, 3 Rebounds, 1 Assist and 4 Steals. In Game 2 the Smith's Court Kings edged the St. George's Hoopstars 59 – 57. Shawn Furlong led the Smith’s Court Kings with 17 Points, 6 Rebounds and 5 Assists, while Jahzion Lugo scored 15 Points for the St. George’s Hoopstars to go along with 1 Assist and 2 Steals.